My nephew, Carlson, has an amazing talent. He has been training ever since he was born! Yes, his talent is.. eating! Join the 2015 tour with ChiChi & ChaCha celebrity hosts! Think you're better than Carlson? Are you below 18 years old? 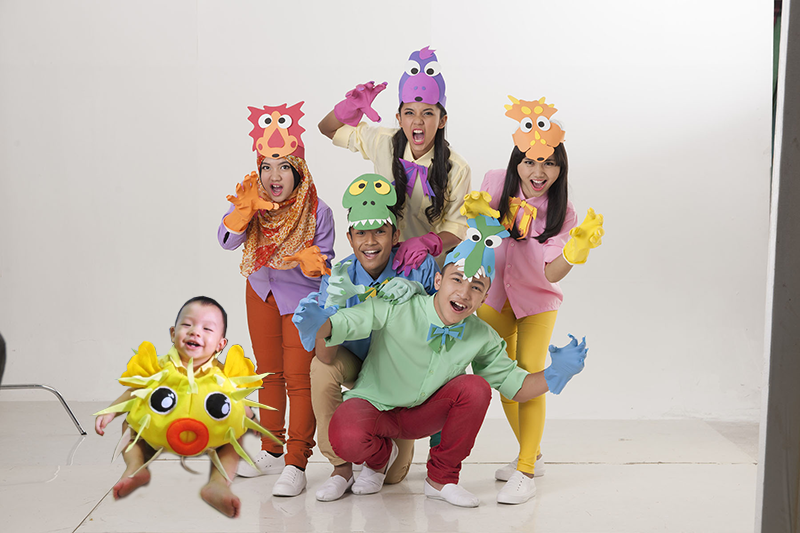 If your answer is yes and yes, join this star search for kids now! 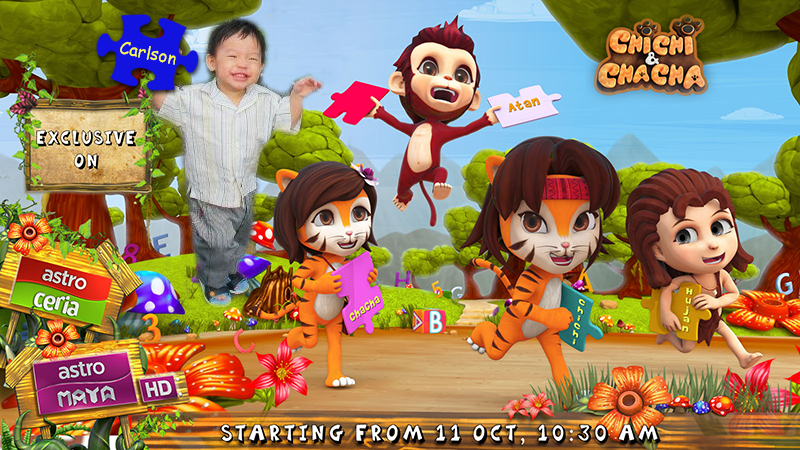 Carlson loves going on adventures with ChiChi & ChaCha every Saturday morning. 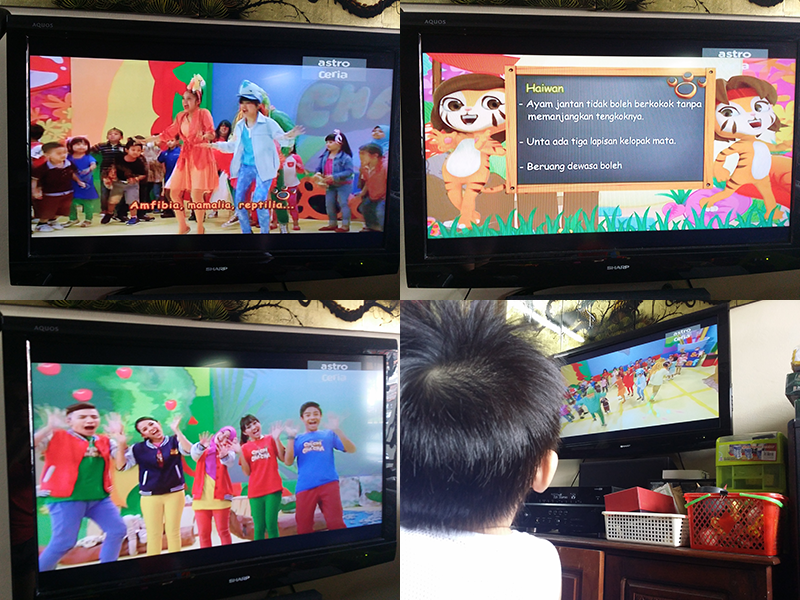 You can catch them too on Astro Ceria (Channel 611) & Astro Maya HD (Channel 135). 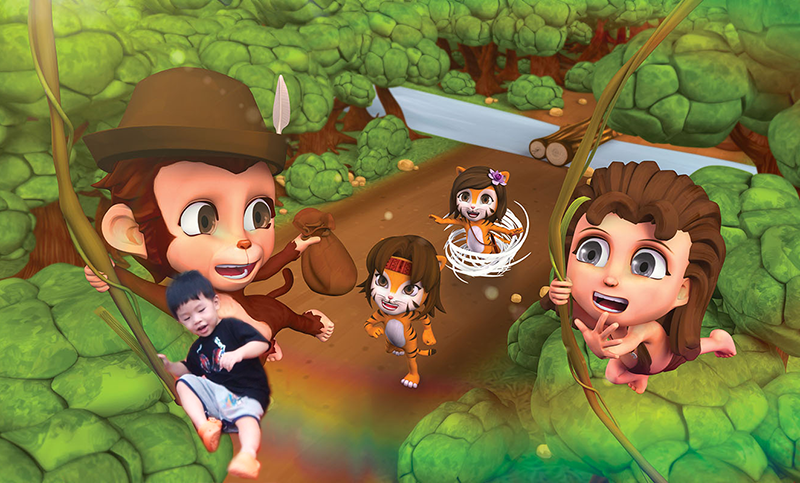 ChiChi & ChaCha is Asia’s first children edutainment series featuring live action celebrity hosts, song, dance, music and 3D animated baby animal characters. 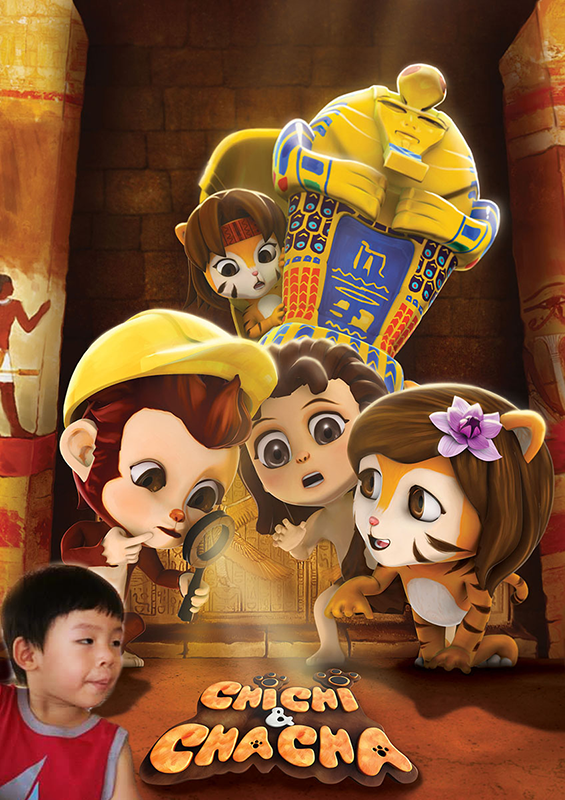 It's entertaining and educational at the same time. Carlson was watching TV then he started clapping his hands. Guess what's on? Lol yup.. It's ChiChi & ChaCha! Carlson hasn't quite started speaking yet but he loves the show! 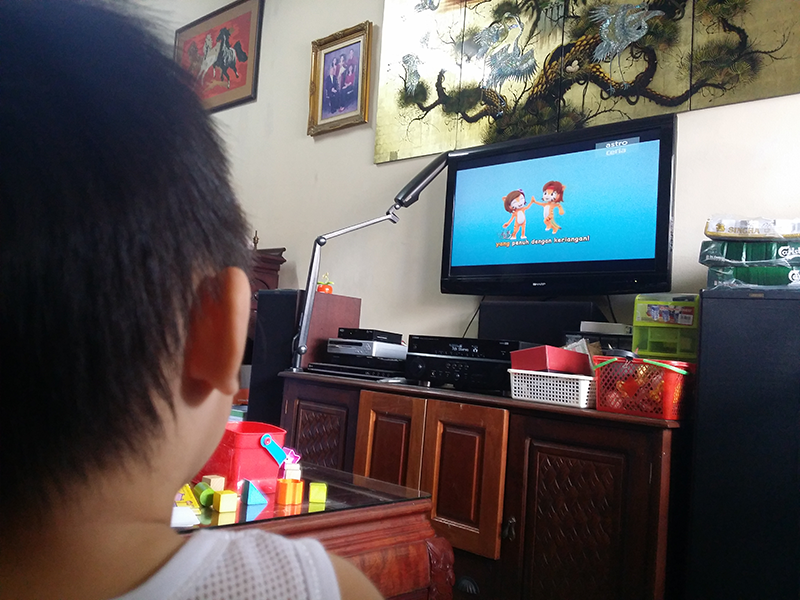 So much that he absolutely ignored me when I tried talking to him while he was watching it pfft.. The “Be The Next ChiChi & ChaCha Star” search is organised by proPassion, Kyanite TV and Big Fish Media. You can drop by to see how the 30 participants show their talents in 90 seconds during the Challenge Round on 15th November. The Top 10 will be selected to proceed to the Grand Final on 16th November where they will be graded based on 3Ps - Performance, Potential and Personality. All finalists will be given maximum 4 minutes to showcase their talents and dance to CC2 songs. “Be The Next ChiChi & ChaCha Star” Nominating Contest provides a special reward for the nominators where they have to nominate ONE talented person around them and showcase the person’s talent within 15 seconds or less. 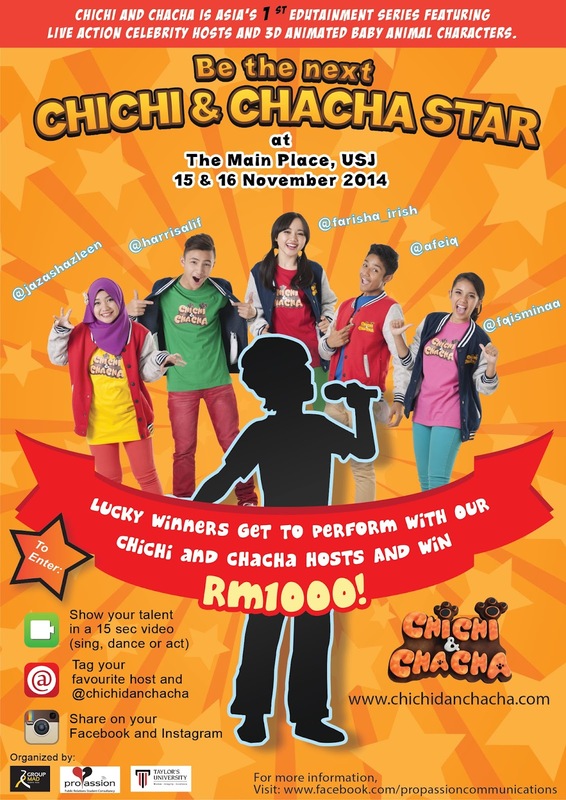 Should the nominees be selected as a finalist on the Challenge Round, he or she will win RM100 in cash and a free autographed ChiChi & ChaCha T-shirt. Check out these videos made by the team! FYI, this is popular fashion blogger, Brian See! proPassion Communications is a Public Relations Student Consultancy by the School of Communication of Taylor's University. It is a component that is part of the Bachelor of Mass Communication that promises to demonstrate passion, professionalism, and quality services to reach clients’ goals.